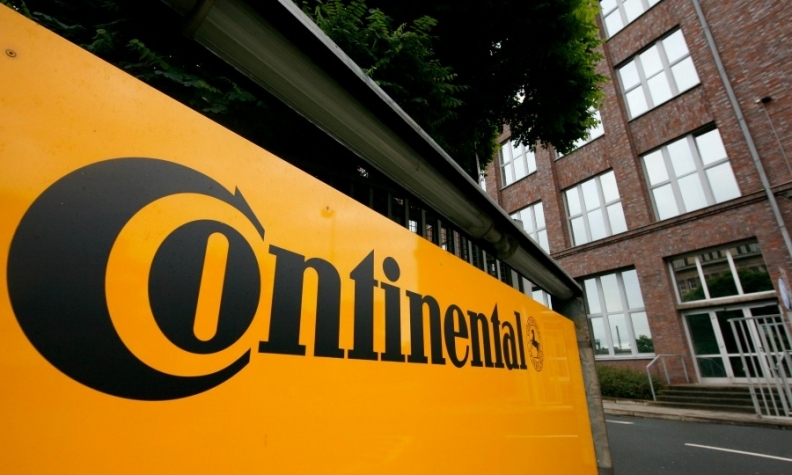 BERLIN -- German supplier Continental has slightly raised its full-year sales guidance and expects business to stay strong in the second quarter thanks to a robust development of its automotive operations. Group sales may exceed 43.5 billion euros ($47.5 billion) this year, an increase of 500 million euros from its March 2 guidance for over 43 billion euros, the company said on Tuesday. Overall business will stay strong in the April-to-June period despite further rising material costs, the impact of which should lessen in the second half of the year, the company said. Continental already published better-than-expected quarterly earnings growth on April 28 and predicted it would safely meet its financial targets for 2017. Separately, finance chief Wolfgang Schaefer said the company plans to raise prices to help offset 500 million euros ($546 million) of costs it expects to incur this year from rising raw material prices. The impact of higher raw material prices may peak in the second quarter at about 175 million euros of costs and ease to 100 million euros each in the third and fourth quarter, Schaefer told Reuters on Tuesday. In other comments, the CFO said demand for combustion engines would keep growing on an annual basis through about 2025 despite increasing skepticism among customers amid a discussion about public driving bans for diesel vehicles. Continental ranks No. 4 on the Automotive News Europe list of the top 100 global suppliers with worldwide original-equipment automotive parts sales of $31.4 billion in 2015.